All boys and girls players born from January 1, 2004 thru December 31, 2015 are welcome to participate. All skill levels welcome. 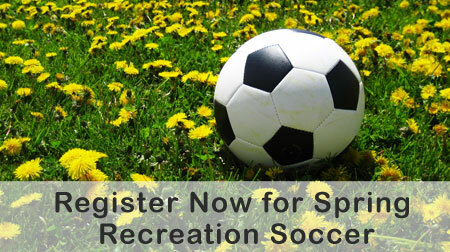 You do not have to live in Lawrence to participate in our recreation programs. Choose one or both below. All games are Saturday mornings April 13 through June 8 (except Memorial Day Weekend) with start times of 9:00 am or 10:30 am depending on age group. Go to REGISTRATION PAGE for more details. Fee for the season, which includes a team jersey is $90/player. In addition to the recreation games, we also offer, for an additional fee, our Friday Night Technical Training with the NY Red Bulls staff. The cost of the Friday Night Technical Training is $90/player. More information about our Spring 2019 Recreation Program can be found here in our FAQ document. Financial Aid is available and more information and the application form can be found here. Lawrence Hamnett Soccer Association is excited to announce Dan Spiteri as the new VP of the Recreation Division. Dan takes over this volunteer role from Jarrett Stuart who held the position for the past six years. Dan has been involved with the organization since 2015, most recently serving as a division coordinator. COMMISSIONER'S CUP NEW JERSEY STATE CHAMPIONS! 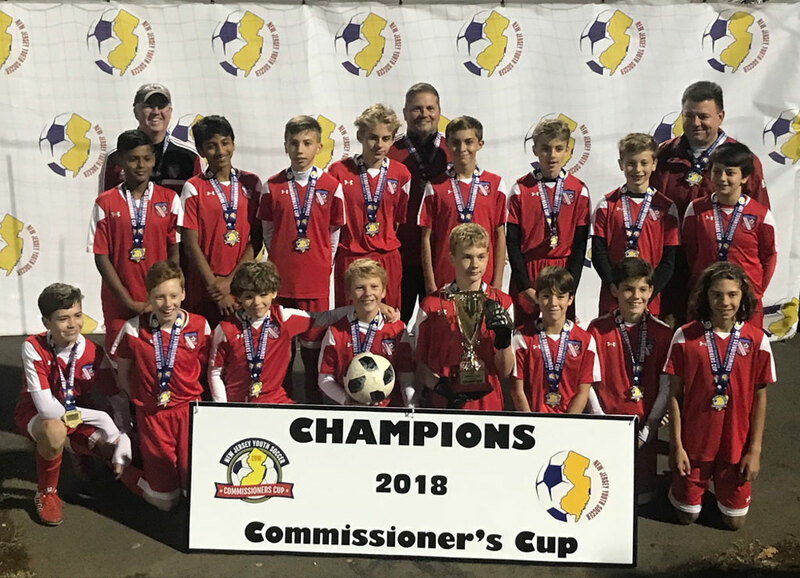 The Lawrence Hamnett Jaguars (2005 U14 Boys) won the NJ State Commissioners Cup at the Capelli Sports Complex in Tinton Falls, NJ on November 4th. They defeated Hamilton Elite FC (Mays Landing, NJ) 1-0 in an exciting, well-played match. Congratulations to the players, coaches (Todd Caruso, Steve Kenah and Keith Kemo) and parents (who continually supported and cheered the boys to victory). They didn’t allow a single goal through the four-game State Cup campaign and defeated teams that had given them trouble in past seasons. We are all very, very proud and happy for the Jaguars! We’re growing … and we need your help! Hamnett Board Secretary – documents board meeting discussions, distributes meeting notes and agenda, works with VP of Competitive and VP of Recreation to disseminate club information. Fundraising Coordinator – will plan and implement a few fundraisers throughout the year to help the club meet financial goals while helping to build community engagement. Will supervise the fundraising committee and projects. Director of Communications – Disseminate club information using a variety of communication platforms: on-line newsletters, email blasts and social media. Will promote club activities (tryouts, registrations, coaching courses, etc.) on a timely basis and will work closely with our Community Outreach and Sponsorship coordinator. Community Outreach and Sponsorship Coordinator – will represent the club at various community events and will seek sponsorship opportunities. Will also serve as a liaison between the club and township organizations and activities. Will work closely with the club Communication Director. If you are willing to volunteer or are thinking about it and have questions please feel free to contact , , or . The LHSA mobile app allows you to access your team & players information on your smart device. Both Android and iPhone versions supported. Download Now. 3-30% of your purchase price at stores like Kmart, JC Penney, and eBay could go to Lawrence Hamnett Soccer Association Inc.! It’s free—try Giving Assistant.